Supernovae are the bright, but short lived explosions of a dying star. At their brightest they can outshine an entire galaxy. The brightest ones, known as superluminous supernovae, can be more than 10 times brighter than type Ia supernovae used to measure the distances of far galaxies. But there’s a limit to how bright a supernova can be, so when we observed a supernova last year that seemed to exceed that limit, it raised an interesting question. Is our model of superluminous supernovae wrong, or is something else going on? After the supernovae ASASSN-15lh reached its peak brightness, a team of astronomers observed the source for the next 10 months. They found that the way in which the supernova dimmed over time (known as its light curve) didn’t agree well with the light curves of other supernovae. This would imply the event was not caused by the explosion of an old star. Add too this the fact that supernovae generally occur where there are plenty of bright blue stars (since they tend to die as supernovae) and ASASSN-15lh occurred in a galaxy that mostly consists of smaller, redder stars. One thing the team did see was that the supernovae got much brighter in the ultraviolet a while after the initial event. This is likely due to a reheating of the stellar material. That isn’t expected to happen in a supernovae event, but it can happen when a star is ripped apart by a black hole. So the team compared the data to models of star-eating black holes. 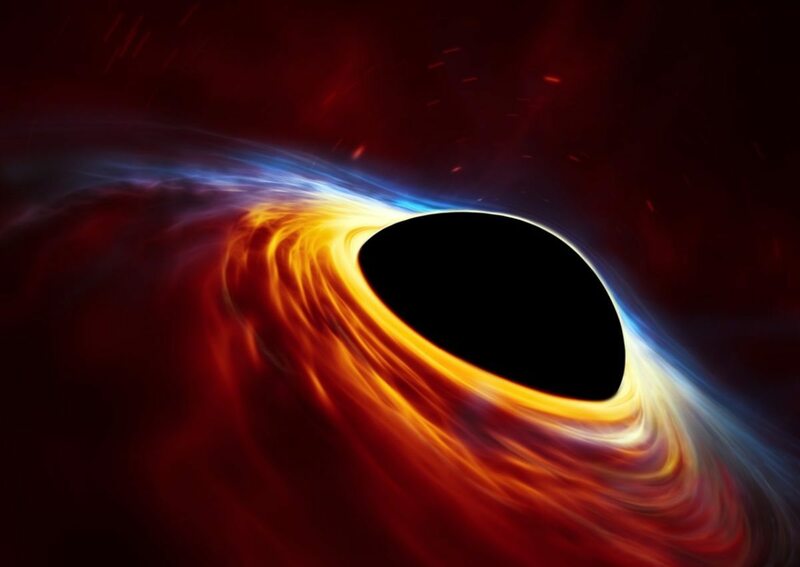 They found that the best math for the data is a rapidly rotating black hole that ripped apart a small star. This doesn’t guarantee that the event really was a black hole’s lunch, but it points to the idea that some supernovae might not be stellar explosions after all. We will still need more observations of superluminous supernovae to confirm this model, but it’s certainly likely given the gravitational power of black holes.